Winter weather can bring harsh elements like plummeting temperatures, snow and ice. 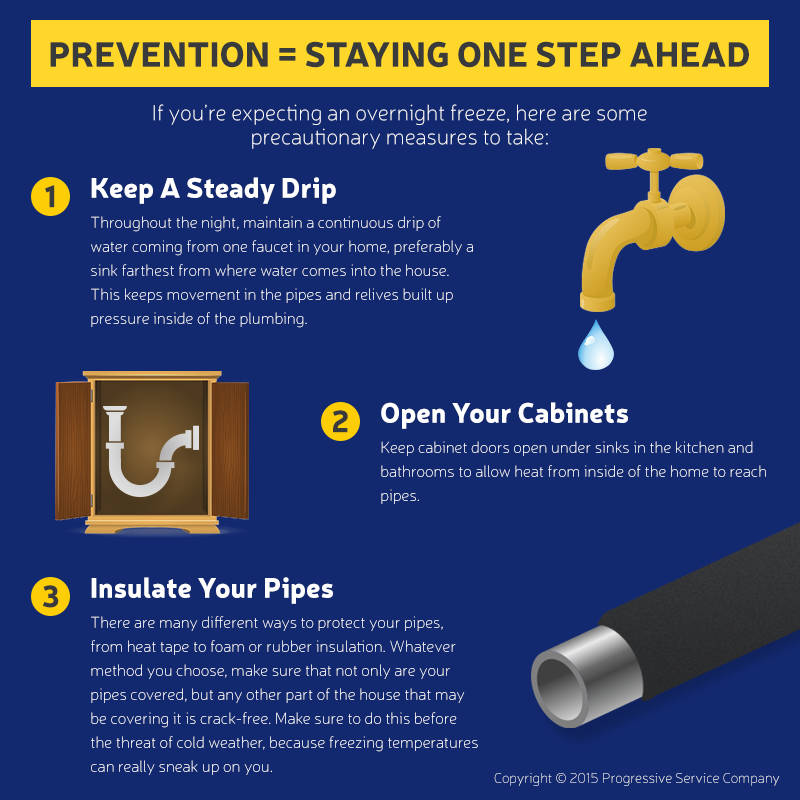 Of course, we know to bundle up, but have you thought about your plumbing? A common problem when temperatures drop is for our pipes to freeze, halting the flow of hot water into your home. Frozen pipes also run the risk of cracking or bursting, which can cause major water damage, mold and expensive repairs. 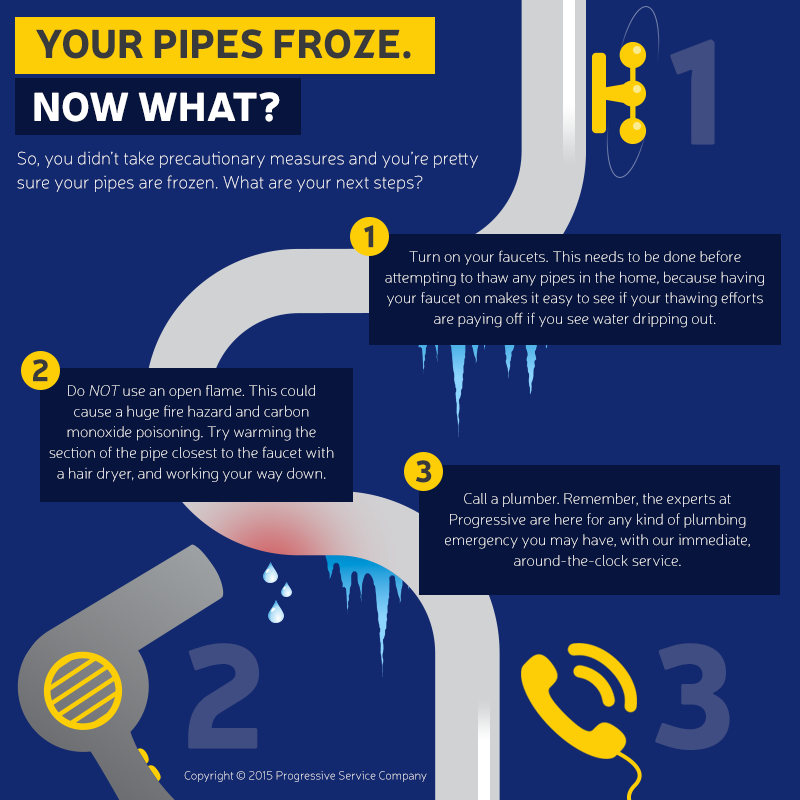 We have put together a helpful guide to prevent your pipes from freezing and what to do if they freeze. The seasoned experts at Progressive are prepared to handle even the worst of plumbing disasters. If you find that your pipes have frozen and burst, call us immediately, and we’ll get your home back to working order in no time.